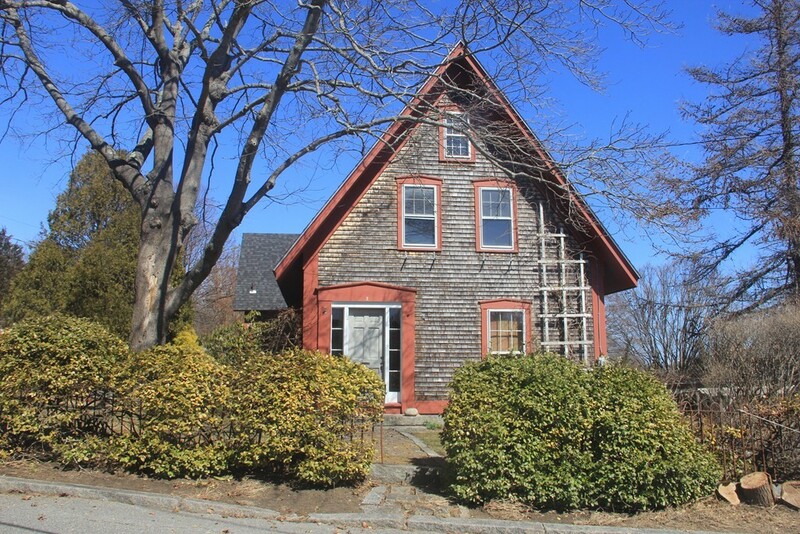 2 Rowe Avenue Rockport, MA 01966 - Single Family home | Patty Knaggs Heather Numerosi Gloucester MA RE/MAX Advantage Real Estate Agent. Buy or Sell your Home with Patty Knaggs. If you like farmhouse chic, polished wide board pine floors, large spaces perfect for studios (music, carpentry, once the studio for famed artist Jon Corbino, and also one of the Folly Cove Designers), a greenhouse, well, garden, ocean views and nearby swimming quarry..... this property is waiting for your creative touch. The home is one of a kind, offering a charming living room with tall windows, a Franklin parlor stove, opening to a lovely library with floor to ceiling bookcases. It is surprising to see how many closets exist upstairs in a cleverly designed hallway with its own skylights. The master bedroom is good sized and has custom closets as well. Opportunities exist for a third or even a fourth bedroom--or condo conversion. A very special property awaits those with the vision to make it their own.